Stop wasting time scouring court websites or reaching out to authorities for the most up-to-date Joint Petition for Divorce. See how LEAP helps attorneys save time and make more money. 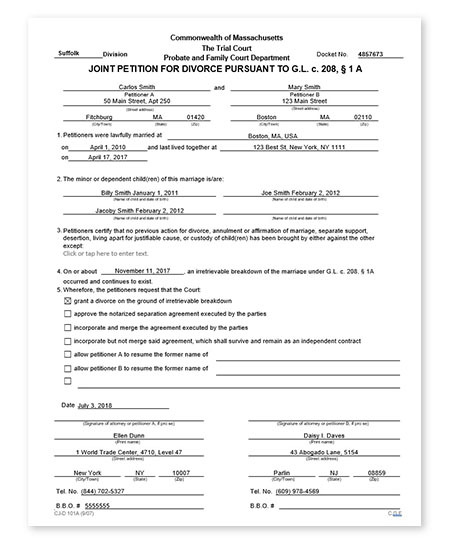 The Joint Petition for Divorce is the initiating pleading in an uncontested no-fault divorce. Both spouses must agree that the marriage has irretrievably broken down and have reached a written agreement with respect to child support, parenting time, alimony, child custody, and the division of marital assets.